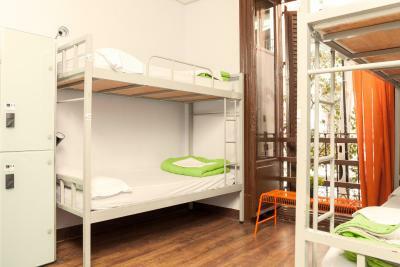 Lock in a great price for Cats Party Hostel Madrid – rated 8.1 by recent guests! Great and friendly staff! Bar on premises. Organized events. I left that on the bar wall. The hostel is very nice, for a party hostel it is very well kept and doing nightly bar games and pub crawls are a blast if you like to go dancing. Location is very good, between the palace and the botanical gardens. Over all I enjoyed my stay and if I return to Madrid I'll probably go back. Great party atmosphere, easy to meet new people in the lounge and bar. 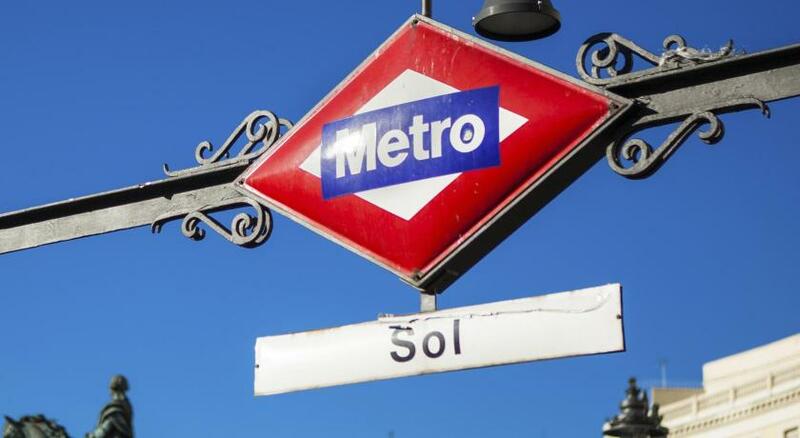 The hostel is very close to the Puerta del Sol area which is the hub of a lot of fun in Madrid. Amazing pubs, restaurants and clubs too. There is never a lack of action. This is a party hostel and they mean it. It will be filled with people who are down to having a good party so if its the weekend expect the place and the streets to be loud until 6 am or even 7 am! 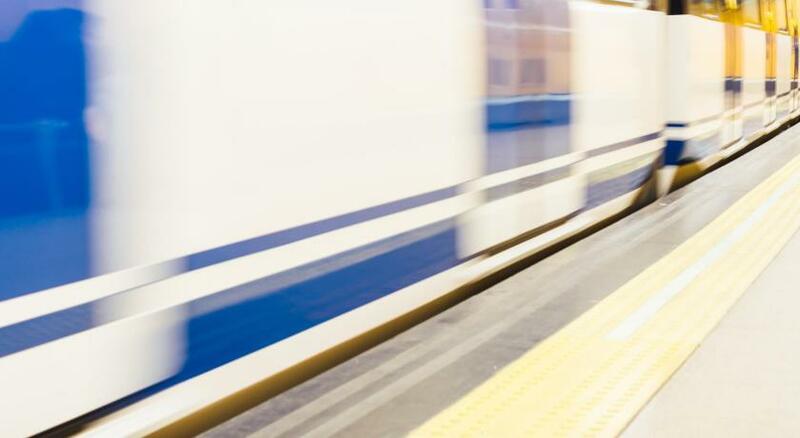 There are electronic locks on the lockers, opened by your key card so your belongings will be safe. The location was perfect, staff are all so nice and friendly. 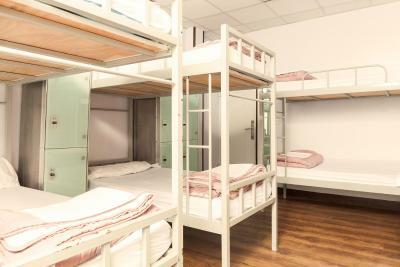 Clean hostel and good value for money. Well located hostel, the staff members are really nice and active, personally I like how they run some activities and the pubcrawl. The bar is super cool the main place for meeting the people. Excellent location, very good price, friendly staff, more than enough clean showers and washrooms, and very comfortable beds. The hostel organizes a lot of events so it is easy to meet fellow travelers and make friends. The lobby is a really nice place to hang out with different couches and pillows. You can get a free map and also rent a towel for 3€ which you can refresh without charge. All in all I had a wonderful experience. It IS still a hostel, so there is some noise from other guests, and people come in the room late at night after going out. I did not mind but if you do this would probably not be the place for you. The design of the hostel is just amazing. Its quirky and yet very well done. The common places are clean and so are the bathrooms. The pub crawl was awesome. 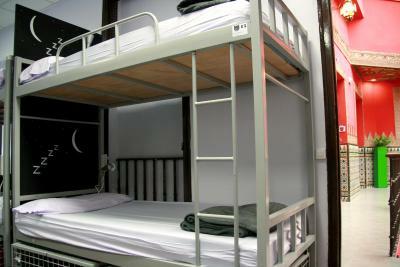 Cats Party Hostel is located in central Madrid, just 500 feet from the lively Santa Ana Square. Organizes trips to visit Madrid’s nightlife. 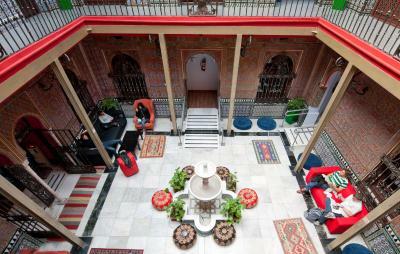 The dormitories at Cats Party Hostel are set around a beautiful courtyard with an 18th-century Moorish-style fountain. 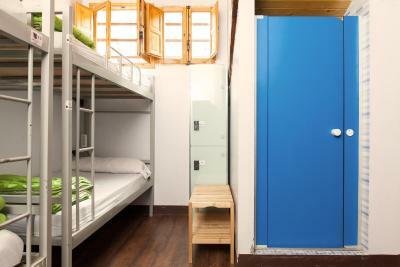 Each one includes wooden floors, individual lockers and a shared bathroom. 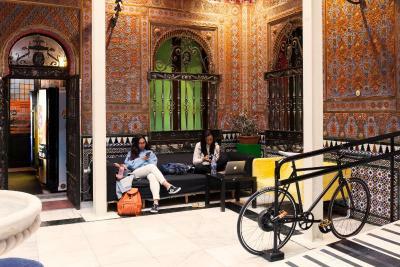 The hostel serves a daily breakfast in the café, and there are vending machines for sandwiches and pastries. A fridge and a microwave are available for all guests. There is a laundry room with coin-operated machines, as well as an iron. The bar features computers which you can use for free. 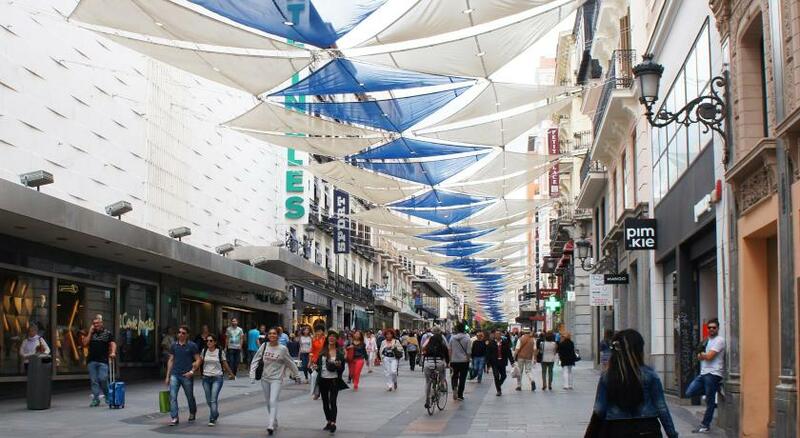 You can walk from Cats Party Hostel to the famous Puerta del Sol Square in just 5 minutes. 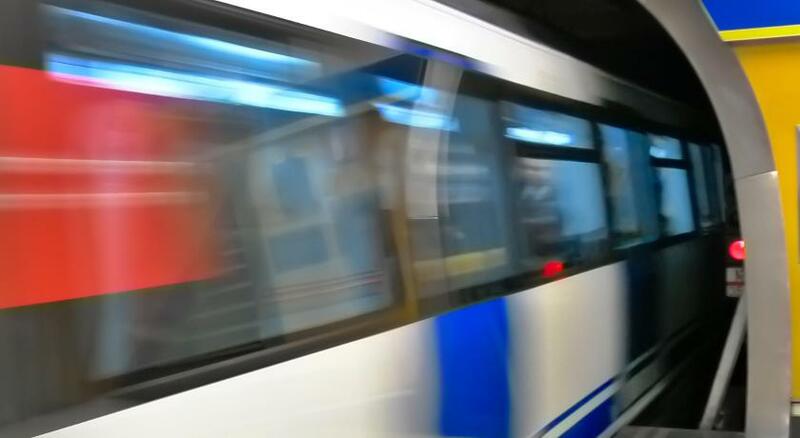 San Sebastián Church is just 150 feet from the hostel, and Antón Martín Metro Station is 650 feet away. 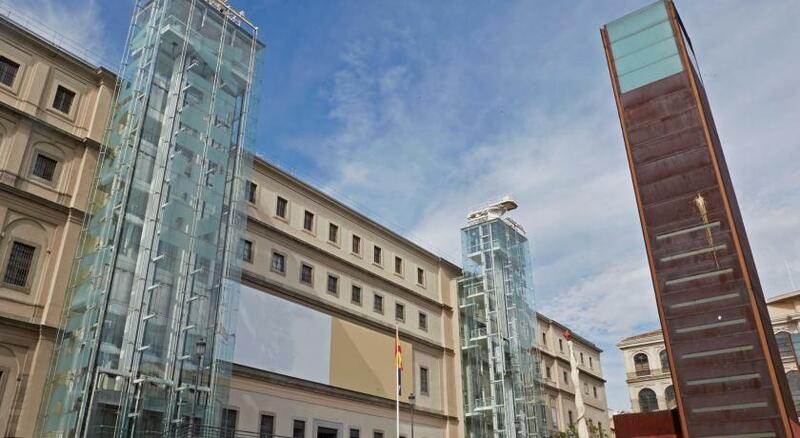 뀐 Located in the real heart of Madrid, this property has an excellent location score of 9.1! 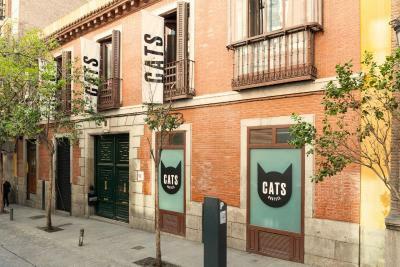 When would you like to stay at Cats Party Hostel Madrid? 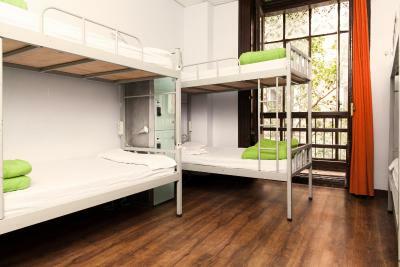 This air-conditioned dormitory room features individual lockers and a shared bathroom. 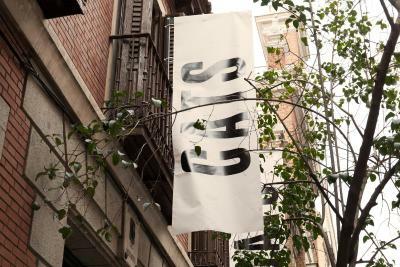 Cat’s is Madrid’s most popular party hostel and WITH MORE THAN 10 YEARS, we were the first lodging of this type to open in the capital of Spain. 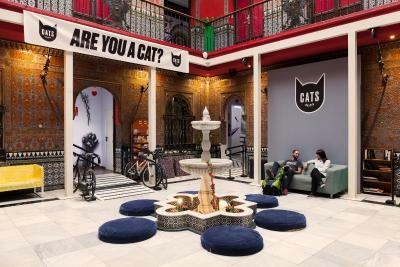 House Rules Cats Party Hostel Madrid takes special requests – add in the next step! Cats Party Hostel Madrid accepts these cards and reserves the right to temporarily hold an amount prior to arrival. A EUR 10 deposit for the electronic key is required in cash at check-in. When booking more than 9 people, different policies and additional supplements may apply. That is not completely staffs' fault but there were a big number of teenagers and they made noise until 3:00 am in the morning. The receptionist couldn't do a lot and I had to warn the kids myself. We were almost calling the police actually.... Never saw a group of so spoilt teenagers in a hostel-hotel before. They were just jumping and screaming around non-stop till 3 am. They had no respect for others at all. I don't know where they were from but probably Denmark or Sweden.. So I just recommend to the hostel to check again who they will host and how much other guests they will lose because of that group. I hope their "irresponsible teachers" read this comment and be more careful for their next trips with their students. Because they didn't seem like they cared a lot about other guests. The place is advertised as a youth hostel. If that is a dorm for teenagers, that should be clear on the website of the hostel so people would go through reservation regarding this. 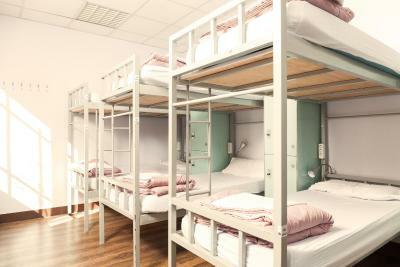 The hostel staff was kind enough to give us a seperate room because of the on going restorarion on the dorms. So we had a nice stay. 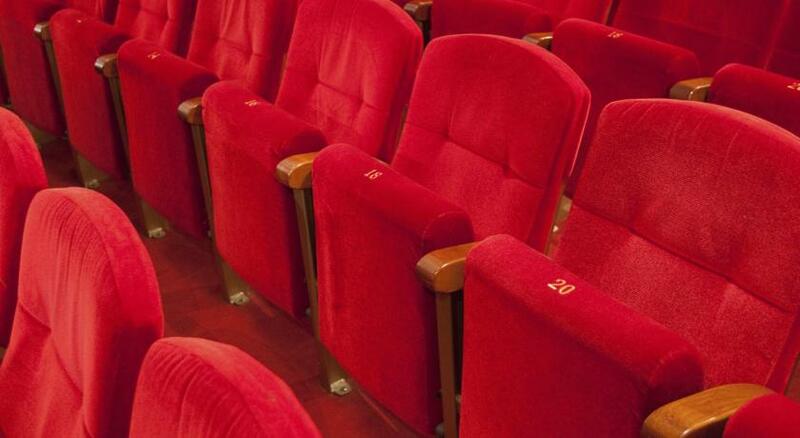 The place is clean and location is great, very close to the metro station. Common area is spacious and comfortable. 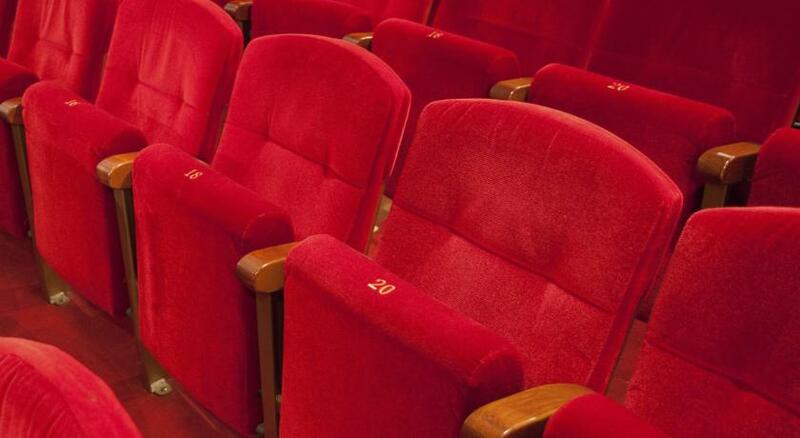 Just make sure if there will be a school group during your stay if you care about silence. They were still renovating so their was a lot of noise. There weren’t many guests so the ambiance was dead. Also, they moved me to a mediocre hostel because theirs had to shutdown due to some renovation issue. Def not the kind of experience any traveler seeks. Very noisy, small beds (too short for tall people). Cool friendly staff, good drinks, good location, nice ambiance. I never stayed at cats party. It was under construction. They moved me to a different hostel with no notification until I showed up at party. I booked part because they said they do not allow kids and this other hostel did. So there was like 50 screaming kids running around all day and night ruining my stay. I attempted to contact booking customer service to receive a partial or full refund and they are ignoring me. Numerous problems, starting with the relocation to their sister hostel, then after booking 6 beds and paying for them at check in on our final night the 6th bed was resold to another customer without communicating this with us at all. A staff member from the hostel then came up to our room, used his master key to enter the room without knocking even though the room was full of girls (2 of which were in the middle of getting changed). We asked him to wait outside which he did but less than a minute later he entered the room again without knocking. When we tried to tell him all beds were already paid for he told us they weren’t. We asked to speak to a manager, he told us he was one and we found out when checking out he wasn’t. The manager we spoke with when checking out then told us they had confiscated alcohol they found in our room and that we weren’t allowed drink alcohol bought outside the hostel in our room (this was the first we heard of this). They waited until we left the hostel to enter the room and root through our belongings to confiscate the alcohol. Again without communicating anything with us! As a group we’re very unhappy with the tone some of the employees took with us. There was absolutely no communication at all. Absolutely super. I actually stayed at the other Cats Hostel they own, which is about 100m from the hostel I booked. The hostel management had contacted me before I arrived to tell me that the hostel I'd booked would be closed when I arrived due to renovations, and they offered me a like-for-like alternative at their other hostel. The other hostel was great, had a really good atmosphere, and all facilities were very good. I was checked in very quickly by the staff, who were friendly and helpful. In the reception area is a big open space with sofas, tables, computers, free tea and coffee etc. It is very bright and homely. They gave me a voucher for a free drink at their bar. My bunk in my room was excellent. 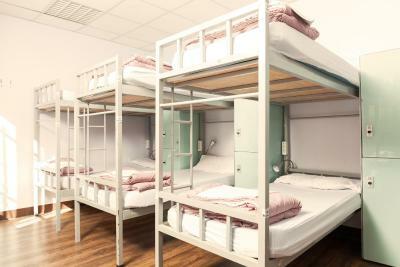 I was in a room with a lower number of beds than I'd originally booked, and the bed was comfortable, with loads of space above your head when you sit up, and a nightlight, shelf and socket by the bed. Below the bed is a big locker, which is opened with the key card to the room, which I thought was excellent. 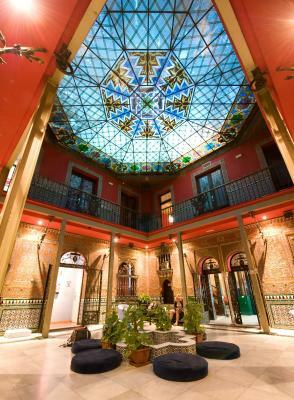 The hostel is in a quiet area, and a ten-minute walk from Puerta del Sol. I was in Madrid for New Year's Eve, and when I checked out of the hostel on New Year's Day, they gave me a little bag of sweets for New Year, which I thought was a nice thought. Breakfast is good, with plenty of choice and everything is fresh. The bathroom facilities were very good, clean with lots of hot water. In the middle of the building on each floor is an area to sit in, plus there is a terrace and a bar at the top of the building. 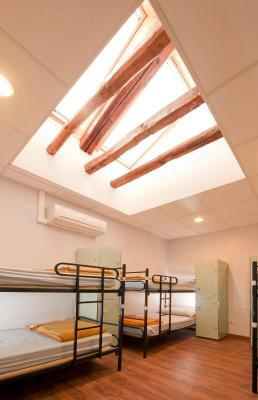 The hostel is excellent value for money. Too noisy! Even at the midnight!! You can hear people chatting, walking, door open and close.... We booked room with private bathroom and toilet. The room had no window but you were not allowed to use air-condition.... only a dusty fan.... Bathroom and toilet was in the opposite side with separate keys, not convenient. The bathroom was next door so when someone use the bathroom it was really noisy. Top floor doesn't have enough bathroom for the guest. You need to go down stairs bathroom when it is busy. Can't bring my own booze to share with staff and friends.